This book was a bit different from the others. It had a much darker feel to it that was laced with sadness. I can only gather that it was because Kinsey knew the victim of the crime she was investigating. This being the case, I didn’t mind the tone change, but it was a bit of a change of pace. I also figured out the twist a lot earlier in this one compared to the other two. It didn’t take away from the story as I didn’t know how it all fit together, but figuring it out leads to a less exciting reveal at the end. There wasn’t as much action up until the end of the book either. So, this book was very different from the past two, but I still enjoyed it and it was really hard to put it down. Kinsey’s personality did get to show through more towards the end and it was refreshing after the dark cloud that was the first half of the book. 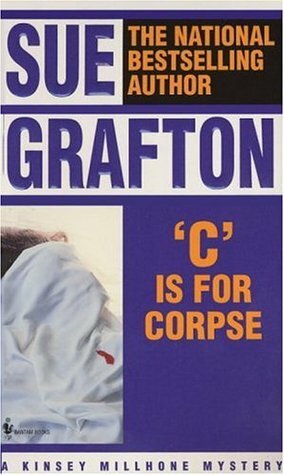 ‘C’ was a solid installment in the series.